Here we are, the start of a new arc! As you might have guessed from the appearance of Icelandic dialogue, we are in Scandinavia, and will be dealing a good deal with the myths and early polytheistic religion of that region in the months to come. That means treading on a fair amount of the ground that the Marvel Thor comics have been passing over for the better part of four decades now. I love those comics - it was a Thor comic (part of Jurgens's series when Thor took over control of the Earth) that got me back into the comic medium after a six year hiatus post college. I also love Wagner's reworking of these myths in the Ring of the Nibelungen. Both of those took wonderful liberties with condensing the often contradictory accounts of the Eddas and other sources to create works of art of great human insight and beauty. 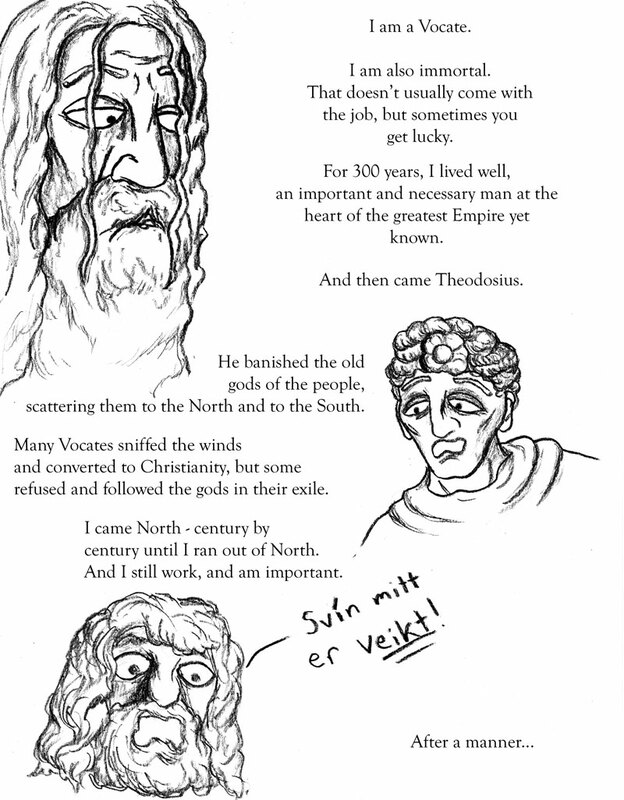 This story will be doing its own thing too, but it will stick strictly to what we know of the deities of Scandinavia. Thor can't cross Bifrost. One of the Norns is a Valkyrie from time to time. All that good stuff! 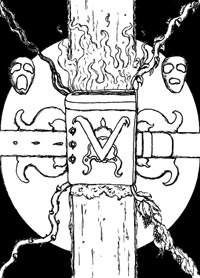 So grab a drinking horn and I'll be the best skald I can, right here, every Saturday!